Want Freedom from Your Back Pain ? 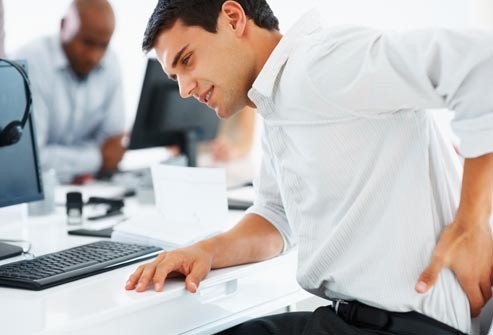 Herniated disc is a common medical situation among adults. In some people, herniated discs presses against the spinal cord or the nerve roots causing acute pain that is very difficult to bear. These cannot be completely treated with medication. Surgical processes are the best methods to deal with such cases. Discectomy is the surgical process that is done to remove herniated discs that presses against the spinal cord or the nerve roots. When is a discectomy needed? The doctor makes a small incision near the herniated part. He may remove a lamina of the infected part of the vertebrae to have a clearer vision of the herniated disc. Surgeon then cut off the herniated part of the disc. Any lose fragments of bone around the area might also be removed. The whole surgical process is usually done under general anaesthesia. Usually, the patient is made to walk on the first day after surgery. The patient would feel an instant vanishing of the pain but the numbness and weakness from the leg would subside only after few days. Trauma and Orthopaedic Speciality Hospital (TOSH) is leading hospital that deals with all Joint Problems. Dr. Zakeer Hussain at TOSH has been one of the prominent doctors in this field since long back. Utmost medical care is what discectomy require and that is exactly what one gets at TOSH.